This ceramic Tajine is part of the REVOLUTION 2 collection. Touareg blue is a new color that combines the beauty of the black porcelain clay with an intense deep blue glaze. The base of the tajine is white, wide and shallow. 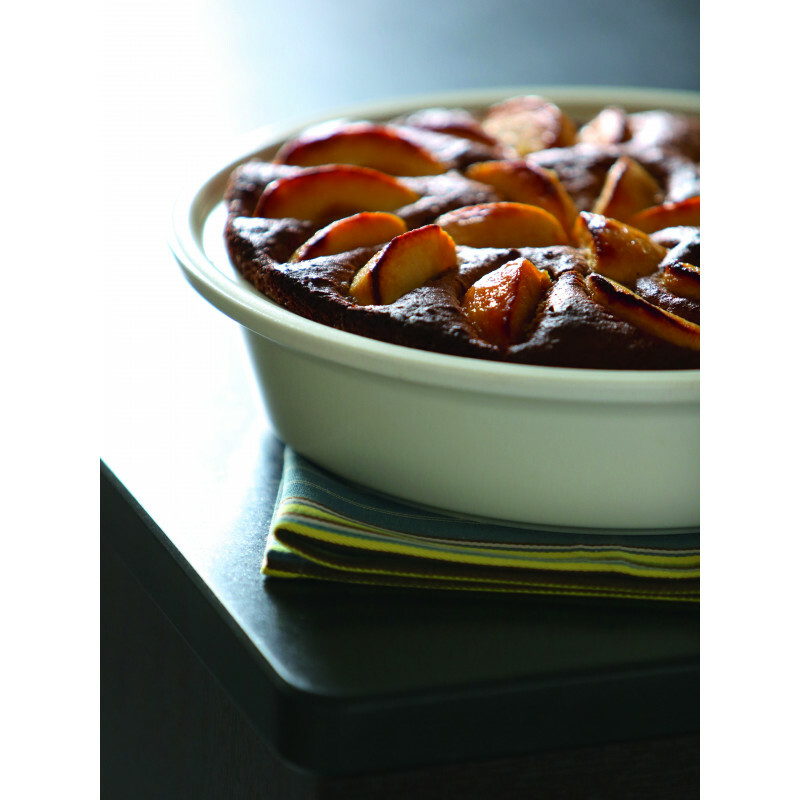 It can contain up to 3.75QT which makes it a perfect dish by itself and it can be used as a cake pan (see recipes in our Tips and Recipes section). 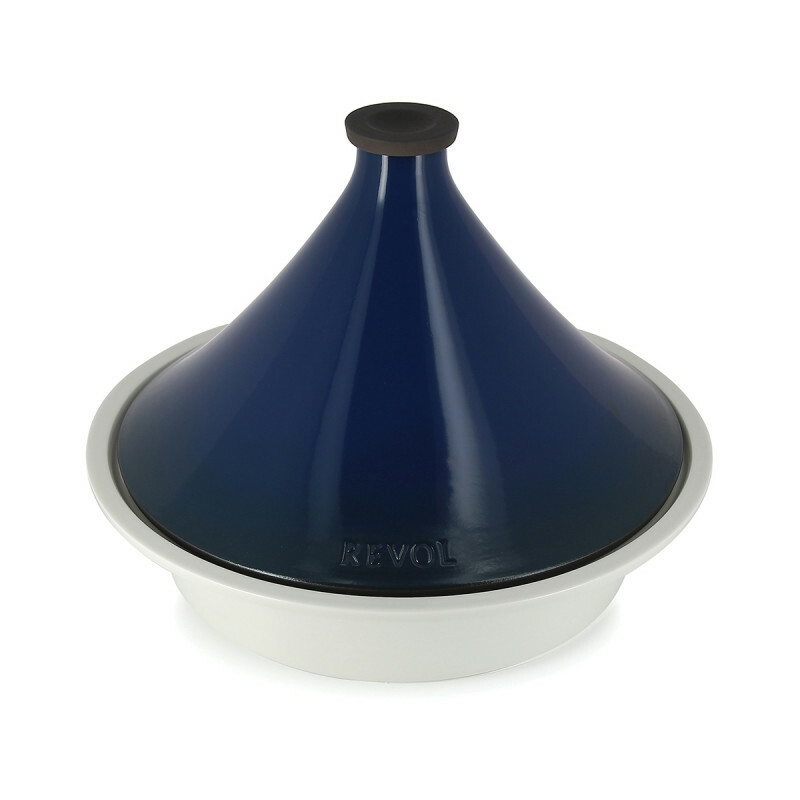 So you can basically use the Tajine with or without the lid and use it in very different ways. 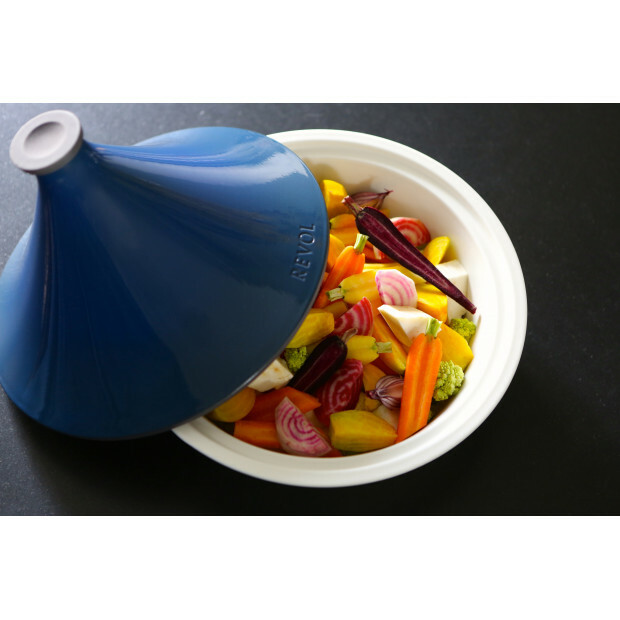 This unique Tajine will allow you to cook, simmer, roast and bake anything in the stove (induction and electric) and in the oven. 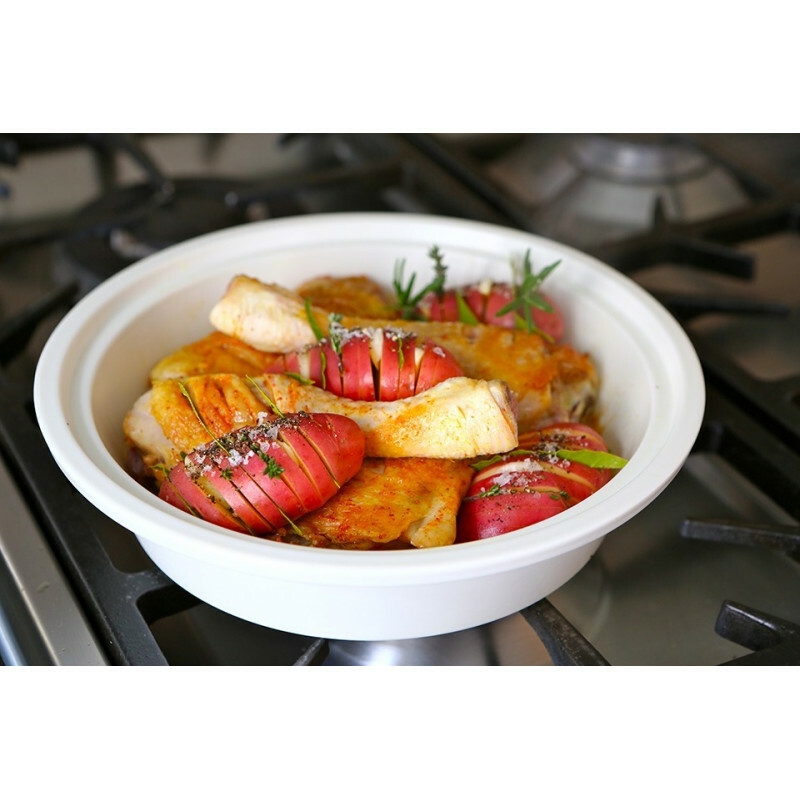 The conical shape of the lid makes the cooking process different as it allows the steam from the food to condensate, drop back in the dish and tender your food, which is a especially effective technique when it comes to preparing meats and stews. This is the only porcelain Tajine in the market: despite stoneware or earthenware, this ceramic is the strongest material; it is non-porous and 100% food safe. 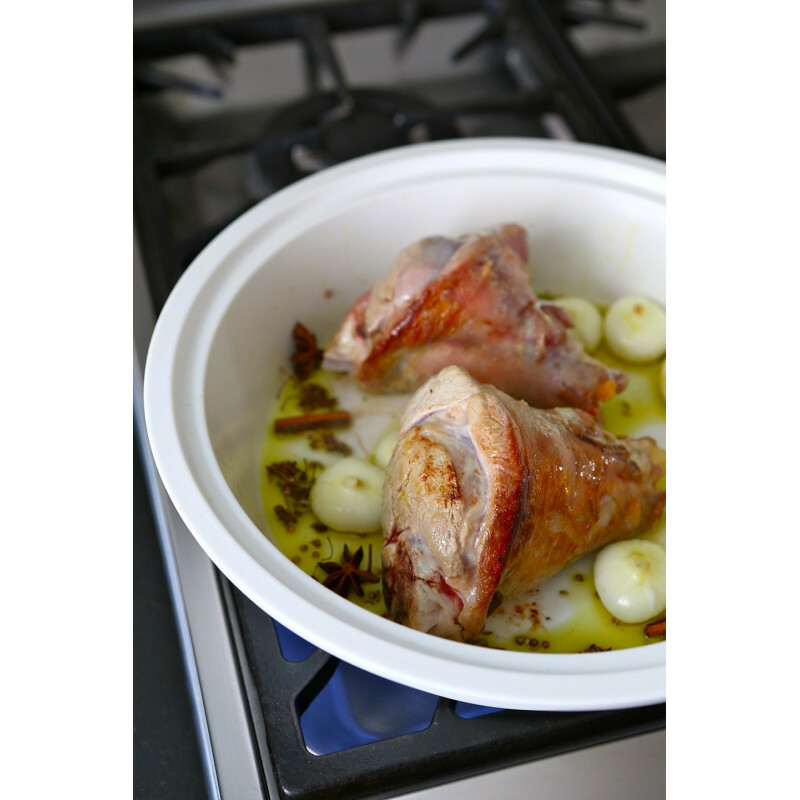 It is also the only Tajine that you can use in every heat source! And it is dishwasher safe like every other REVOL product. Try it now!